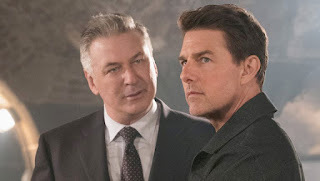 Secret operator Ethan Hunt (Tom Cruise) is ordered by his superiors to track down missing nuclear weapons cores that are being purchased by the followers of his old enemy Solomon Lane (Sean Harris). 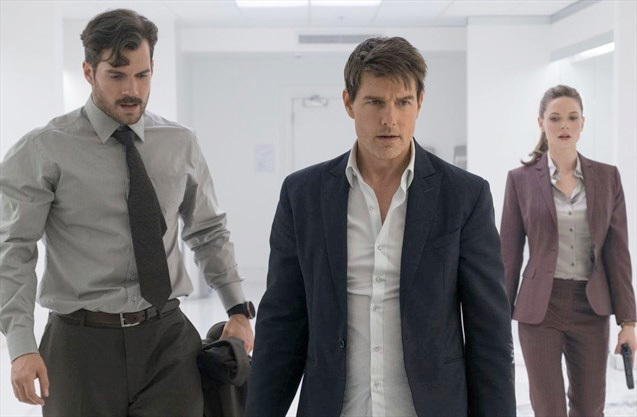 This time, Hunt is saddled with a rival operator (Henry Cavill) from the CIA, and confused by his former ally and love interest, Ilsa Faust (Rebecca Ferguson). Naturally, he must solve his problems at high speeds and great heights. This sixth instalment in the movie series is rather leaner on plot than earlier entries. The villains, an anarchist group dedicated to destroying ‘the old world order’ feels its aims can best be accomplished by killing and destroying as much as possible. Their motives are, in fact, one step removed from ‘just because’. What plot twists exist are contrived. Do you recall the Death Star in Star Wars? How it was impregnable - except against a torpedo fired down the conveniently unguarded vent that led directly to its engines? 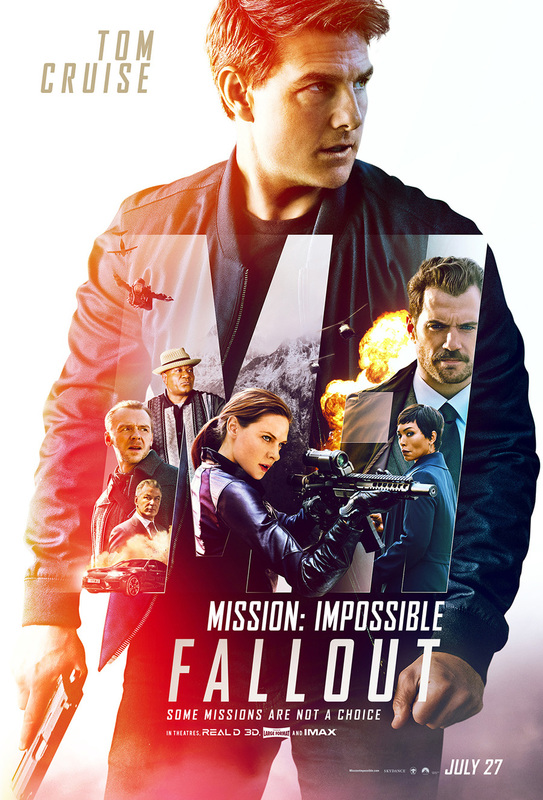 There is a bomb in Mission: Impossible - Fallout with similarly unnecessary - but more complicated - features. As well, the plans laid by Hunt work out rather too well when they need to: when being chased on a motorcycle, he finds himself cut off by pursuers from several directions and flees down the only available route. This leads straight to his cohorts who are waiting for him, as arranged. 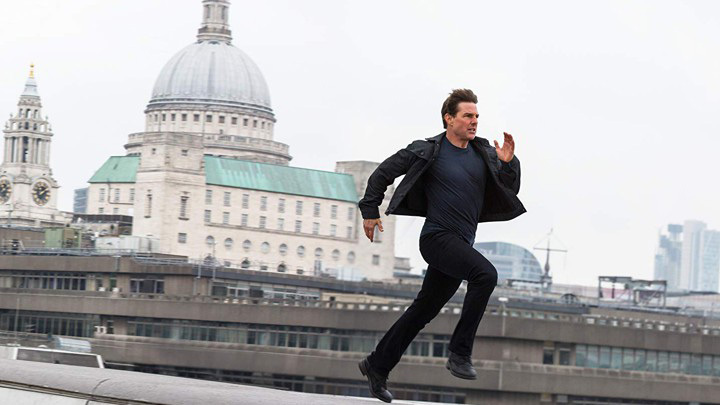 That those chasing him were deliberately funnelled down several streets simultaneously - except the one required to be left open - is indeed a mission impossible. But anyone going into this film expecting a plot as coherent and clever as an Agatha Christie novel is probably fooling himself in more important matters than an evening at the cinema. On the other hand, there is action a-plenty. Some of it is undoubtedly aided by computer-graphics. There is an extended car / motorcycle chase through the narrow streets and broad boulevards of Paris which I suspect was electronically enhanced. It is not as exhilarating as the foot race across London later on, or the climax. The cast is aging. There is no doubt that this influences the film. 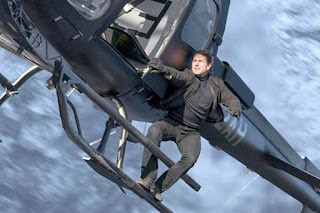 It is now twenty-two years since the first Mission: Impossible movie, and Cruise is fifty-six. Still, his fitness and obvious enthusiasm for the role make his performance believable. His Ethan Hunt comes across as rather a super-man sometimes, able to do almost everything, but in some instances he invests the character with enough apprehension and concern, even fear, to alleviate the impression. 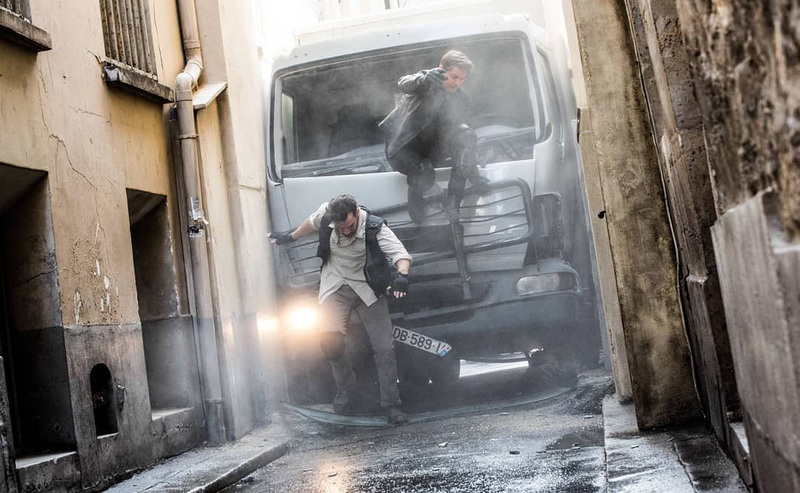 There is one fight-scene in which, even with assistance, Hunt comes off second-best. Mission: Impossible - Fallout’s editing could have been tighter, as the film runs 147 minutes, not all of that time necessary. And while the movie is not as good as the two preceding chapters in the series, it is exciting entertainment nonetheless. You may just have to push back your bed-time to see all of it. I'm kind of shocked to hear there have been six of these. I remember the first "MI," but I suppose since then they've all blurred into the same film to me. I haven't seen this movie yet! WANT TO! Am a fan of Simon Pegg!